Happy Monday everyone! Today is a day off (although when you teach online there really isn’t a day off!) and there is a GREAT sketch over on Technostamper Monday Lunchtime Sketch Challenge. So, if you have some extra time on your hands come join the fun! So…I started out with an idea to EXACTLY follow the sketch this week. Hmmm…I think something happened by the time I finished! EEK! But it’s sort of close. Sweet Sorbet dsp dotted print 2 1/4 x 4 1/2 layer on Sahara Sand 2 3/8 x 4 5/8 and add to card front. Stamp in Calypso Coral, cut out with matching Starburst framelit, add to card front using dimensionals. I made my bow (see tutorial tab above for basic instructions) but instead of using a brad I tied it with a piece of Linen Thread then added to the card front using dimensionals. Add a Crisp Cantaloupe Boutique Detail to the center of the bow. Isn’t this a fun sketch? So I sort of put my main panel more to the right then the rectangle at the top became my bow that I angled on the left. It’s CLOSE…well sort of! Don’t forget to check out the other members of the team and remember go to the Technostamper blog to play along! 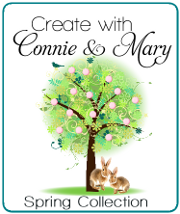 Check out Create with Connie and Mary to learn more. 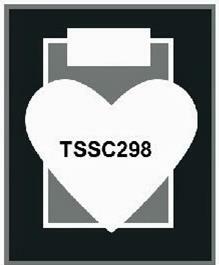 This entry was posted in Sale-a-bration, Spring Mini, Technostamper Challenge and tagged Starburst Sayings. Bookmark the permalink. Hmmm, here we go again thinking alike! I love the colors and the bit ribbon. Funny that we both used those embellishments too. I actually like yours better–more relaxed feeling, lol. Awesome job, as usual. Thanks for another great sample for my sketch challenge!